I’m the type of person who likes to celebrate just about everything in the biggest way possible, while my husband, on the other hand, likes to keep things pretty low key, so for his 40th birthday party I decided to host a laid back fiesta for our closest friends and family. I have to thank the ladies of Beijos Events for all of their amazing party ideas and for providing many decor items, and Katie from Wylie Weddings for bringing her elegant touch to help dress up the property with lots of beauty and bougainvillea. 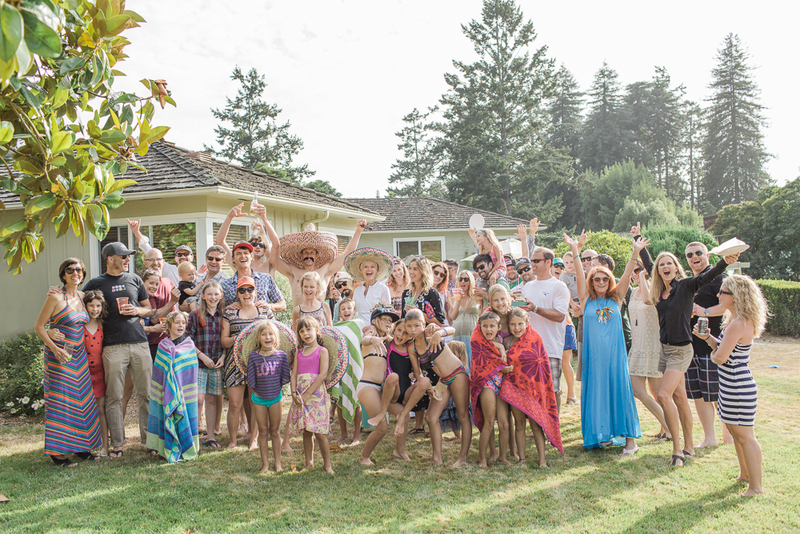 While Gabe may hate to be the center of attention, he loved starting his new decade of life surrounded by some of his favorite people on such a beautiful summer’s day. He still makes fun of me for picking fuchsia and turquoise as ‘his colors’ though. 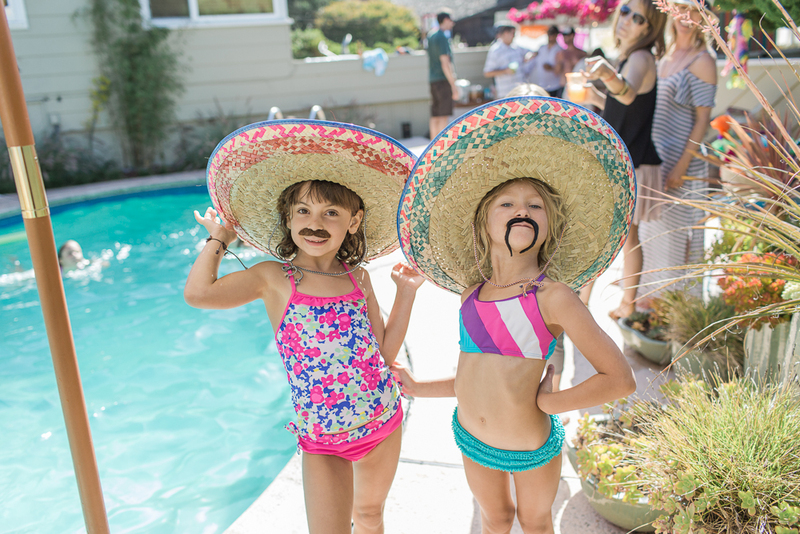 🙂 Some of the party highlights included shots of tequila by the pool, badminton/corn hole wars, the taco truck and their amazing churros that they made fresh on the truck, watching the kids run wild wearing stick on mustaches and giant sombreros, and having the kids go home with a babysitter while all of the adults had a sleepover that kept us up until 2am! So thankful for such great family and friends full of heart and humor. It was a day we’ll never forget! 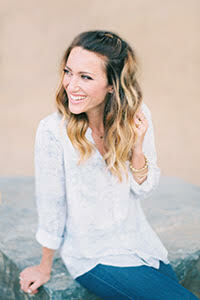 Check out Style Me Pretty Living to see the full feature. We love VSCO (Visual Supply Co) and I often use both their camera app and their presets for editing my images, so I was incredibly honored to have 2 of my snapshots from Australia chosen as their VSCO selects and featured on their blog. If you are ever in need of visual inspiration check out their VSCO grid and their journal too, as they feature so many amazing photographers from all over the world. These two images were taken using my iPhone on an early morning run during my very first day back in Australia. This is the exact spot that I used to live before I met Gabe in California and moved to a new hemisphere for him. It’s a place holds so many great memories for me and it’s probably one of my favorite places on the planet. Some days I miss it terribly, but I always feel lucky to have lived in such a beautiful place, and to still have friends there who will always make it feel like home. After months of working on re-designing my brand, my website and my blog, I am beyond excited to share the new look with you all! Breanna Rose helped me bring my vision to life with her amazing design skills and Tom Wilz brought the whole website and blog to life with his coding skills….and together they make a pretty sweet team. I can’t thank these two enough for all of their help throughout the entire process. There are still a few more changes/updates in store…but I’ve never been the most patient person, so I had to share everything a little early. Have look and send me your feedback, I’d love to hear what you think. 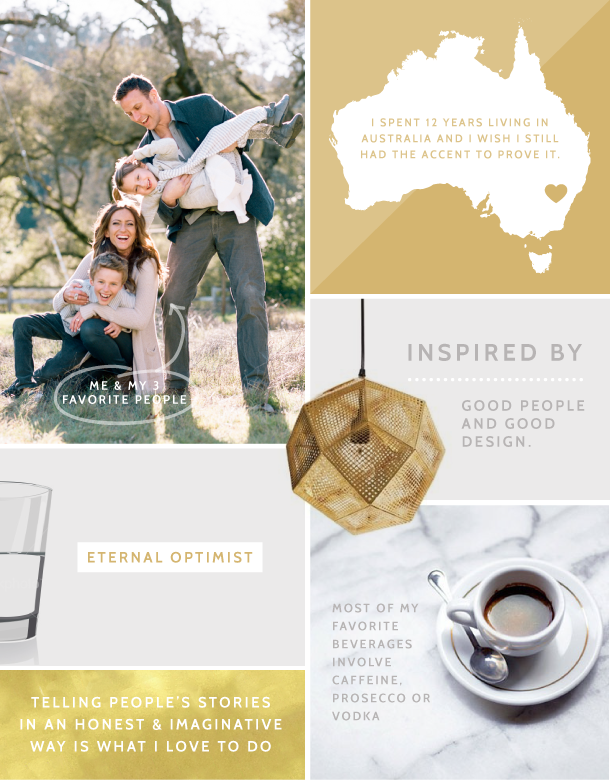 Here’s a look at my blog’s new ‘about’ page, which is a little different from my website’s ‘about’ page….it’s one of my very favorite pieces of the new design.